Details from a necropsy revealed that a 45-year-old elephant named Watoto died at Woodland Park Zoo in Seattle last August because she couldn't get up. The necropsy found that she had no infectious diseases or heart conditions that would've led to her death, AP reports. Rather, explained the zoo's director of animal health, Darin Collins, she simply laid down or fell down and couldn't stand. "We don't know if Watoto fell or laid down. My clinical assessment is that she was unable to stand back up, due to the joint disease," Collins said in the report. 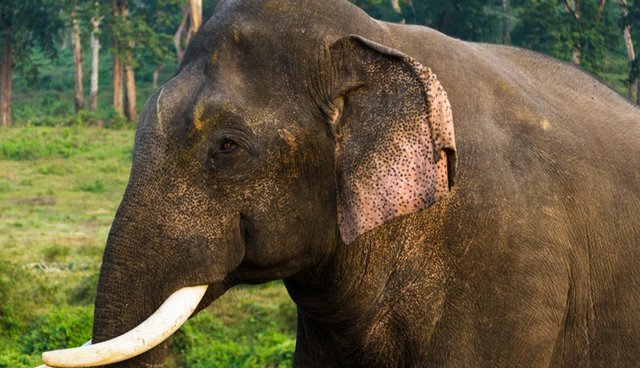 "Unfortunately, the sequence of events that occurs when an elephant is down and unable to stand becomes life-threatening in less than a few hours' time. When lying down, large-bodied animals cannot breathe normally due to massive weight impacting their lung cavity, decreasing blood flow to vital organs and nerves, and resulting in limb paralysis." Wild elephants live far longer than their captive counterparts - one study found that surveyed wild elephants lived a full three times longer than surveyed zoo elephants. Researchers found that the median lifespan for the wild population was 56 years (though they can live to 60 or 70), while the median age for the captive ones was 17 years. Captive elephants like Watoto face a host of problems in zoos, including obesity and foot and joint problems from standing on hard surfaces. Watoto suffered from arthritis and lameness, which possibly contributed to her inability to get up. In many zoo elephants, infectious diseases like herpes and tuberculosis also run rampant in elephant exhibits. Small enclosures also breed psychological problems and induce stereotypical repeated behaviors. If the problem hadn't already been obvious, the mysterious and tragic death of Watoto at the Woodland Park Zoo underscores the fact that it is time for Seattle to get out of the elephant business, once and for all...Growing evidence suggests that keeping the world's largest land mammals in confined spaces, in inappropriate climates, is harmful to their health. In the wild an elephant might live 20 years longer.